The Michigan program has returned over 95 % of the deposits it has taken in since the year 2000. Operation Can Scam led to the arraignment of 10 grocers and conspirators. (Mental Floss) -- The classic "Seinfeld" episode "The Bottle Deposit" will be 15 years old in May. In honor of Kramer and Newman's ill-fated trip to Michigan in a mail truck full of bottles and cans they hoped to redeem for dimes, let's take a look at why Michigan's bottle deposit is so high. How long has Michigan had the dime deposit? The 10-cent deposit traces its roots back to the Michigan Beverage Containers Law of 1976. Here's how it works: the consumer pays an additional dime up front, which will be refunded when the can or bottle is returned. The rule aims to curb litter, encourage recycling, and provide funding for environmental programs. Mental Floss: Why Does Bottled Water Have an Expiration Date? Does the higher deposit prompt more recycling? A five-cent difference may sound trifling, but the higher deposit helps make Michigan's recycling program wildly successful. Although it's tough to track fraudulent cans and bottles that come in from outside the state, the Michigan program has returned over 95 percent of the deposits it has taken in since the year 2000. 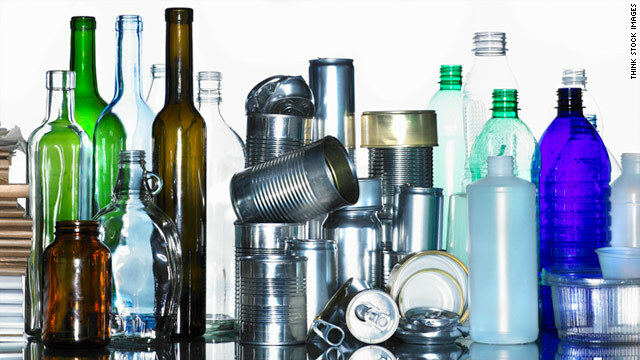 According to stats published by the Container Recycling Institute, these rates dramatically outpace those in states with nickel deposits, where redemption rates largely remain in the 60-to-80-percent range. Those dimes add up, too. In 2008, Michigan returned over $407 million in deposits. Could Kramer and Newman really have pulled off their stunt? Possibly, but it would have been illegal. Bringing in containers from other states and taking Michigan's dimes is technically fraud. In 2011, they'd have had an additional problem, as the state now uses "reverse vending machines" to scan barcodes and make sure the container in question is eligible for redemption. Moreover, they might have had to find quite a few stores to redeem their cans. Under Michigan law, retailers have to return $25 worth of deposits per person per day. Retailers are allowed to return larger sums at their own discretion, but they're only required to shell out $25 to each person. Since Kramer and Newman had $500 worth of cans apiece, they might have found themselves hoofing it to 20 different retailers. Has anyone actually tried this scam? Oh yeah. In 2007, Michigan State Police ran Operation Can Scam -- no points for creative naming there -- which led to the arraignment of 10 grocers and conspirators. The grocers' scam was pretty much Kramer and Newman's idea on a grander scale: smugglers in Ohio collected millions of cans and sold them to grocers at a discount off the 10-cent redemption value. The grocers then redeemed the deposits for the full dime, and everyone made a profit. At least they did until the law caught wind of the scheme. In the course of making the 10 arrests, the authorities turned up millions of cans and $500,000 in cash. The director of the Michigan State Police told ClickonDetroit.com that similar scams defraud the state of $13 million each year. What happens to any unclaimed dimes? Even though an extremely high percentage of containers are returned, unclaimed deposits still regularly add up to eight-figure sums each year. Three quarters of that money goes into the Cleanup and Redevelopment Trust Fund to pay for environmental programs, while the remainder goes to the retailers.